Copyright © Russell G. Rizzo & Cal Neva Mineral Company - This image is copyrighted. Unauthorized reproduction prohibited. A beautiful cluster of three interpenetrating crystals of Lepidolite. Normally one would dismiss Lepidolite as mundane, but this tri-colored specimen stands out as a fine, translucent crystal specimen. 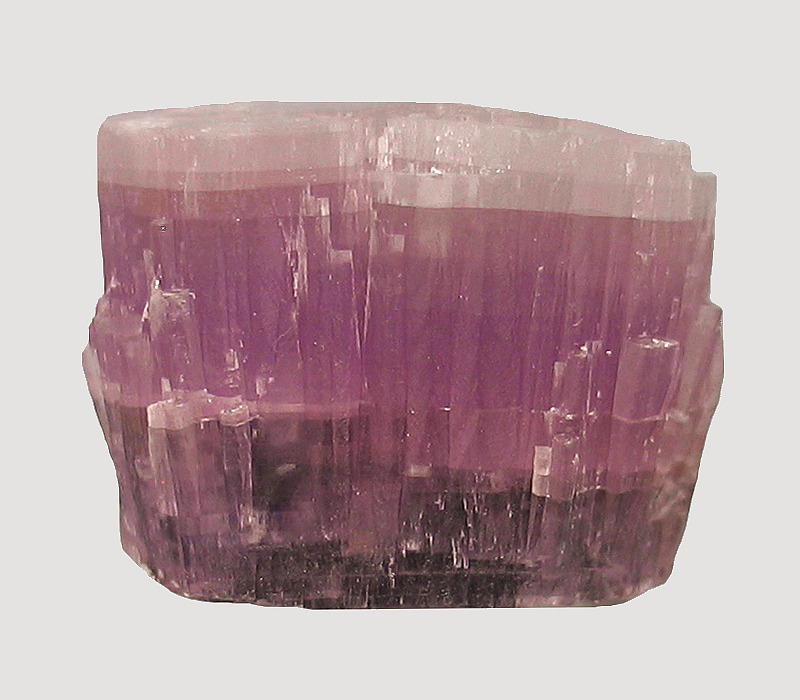 In person, this very lustrous and beautiful Lepidolite will dress up anyone's pegmatite mineral collection or for that matter, anyone's collection in general. specimen size = 2.8 x 2 x 2.5 cm.